The problem is that when I lost a median I just rebalanced two subtrees, resulting in no change. What was I thinking? The new code implements the borrow() routine. That operates similar to the del() routine except that it always descends down the right-most tree or value, returning the largest value in the subtree. I know Iterate() is basically useless, it's still a work in progress. TreeLike is already implemented by Btree. Now I make a struct that implements checking. The struct BtreeTest itself implements TreeLike so any code that requires TreeLike can be easily instrumented to be testing code. Thanks to that I found a serious bug in Delete(). My delete function fails to delete values that are not stored in leaf nodes. I'm fixing it. 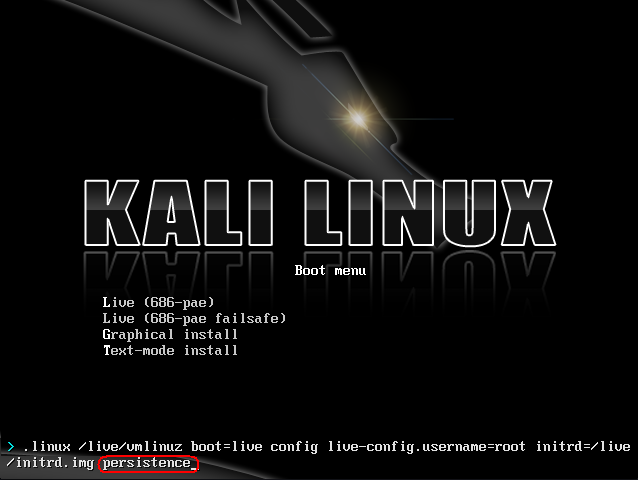 The official Kali Linux USB Live Install guide mentions how to partition your USB stick to add a persistence partition. The persistence partition is very useful because it give Kali state. 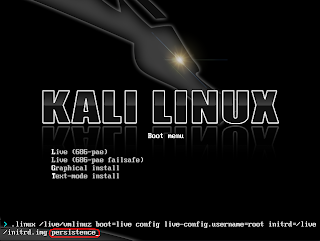 The instructions are tell you how to do the procedure on a non-Kali Linux. What's the use in that. 4. Proceed to format a new partition of your desired size to be used for persistence. In our example, we used all the remaining space available. 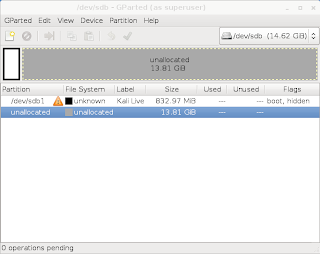 Make sure the volume label of the newly created partition is persistence, and format it using the ext4 filesystem. 6. The default instructions make you add the "persistence" parameter to the kernel every time you want your persistent storage. That's cumbersome. Unfortunately we're stuck with that problem because the file that controls the bootup is on an ISO9660 filesystem, therefore it cannot be changed without re-imaging the key. Bummer.